I’ve been wanting to share my trip to Hawaii with you all for so long and am finally getting around to doing it! 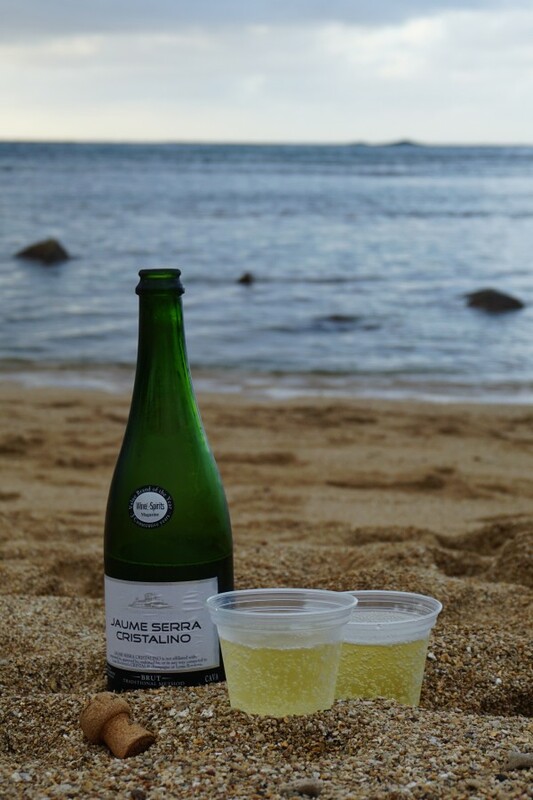 Back in October, my husband and I celebrated our second anniversary with a trip to Maui and Kauai, Hawaii… and it was amazing. Why can’t Hawaii be closer to New England?! The way of life and people were so happy, the sun was shining and it was pure bliss. 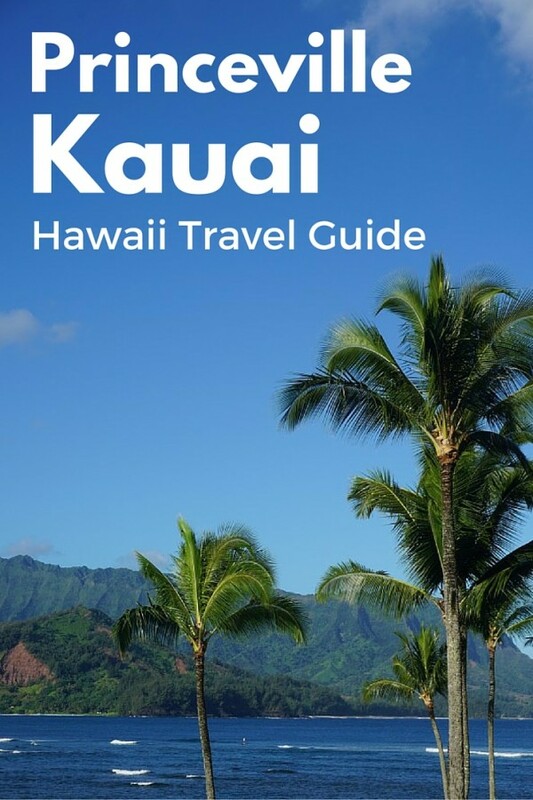 I have lots to share so am breaking up my travel guide into four separate posts, two for Kauai and two for Maui, as we stayed on two different parts of each island to get a full experience. They were all beautiful and perfect in their own way, but all very different! I honestly can’t pick a favorite. 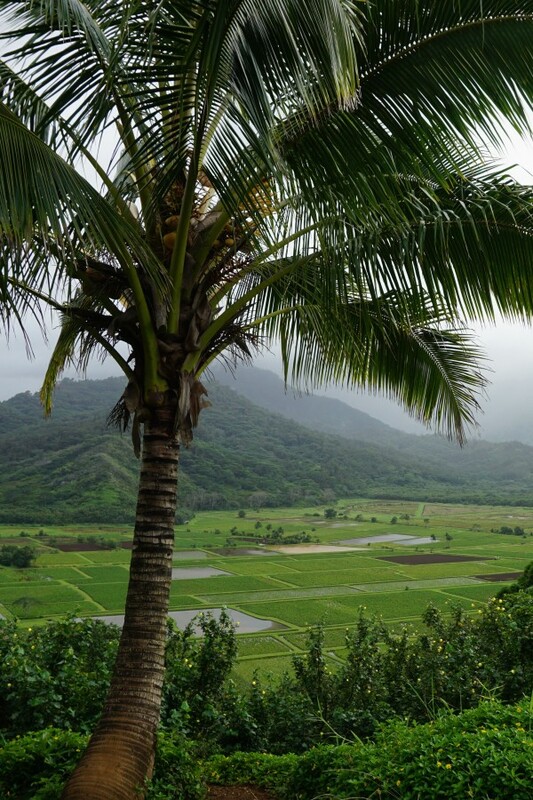 But I’ll kick things off with Princeville (aka the north shore) of Kauai. Kauai in general is pretty casual, and much quieter and developed than Maui (someone described it to us as Maui 20 years ago). And while it’s beautiful, it does rain pretty frequently, even if just for a few minutes on and off throughout the day. 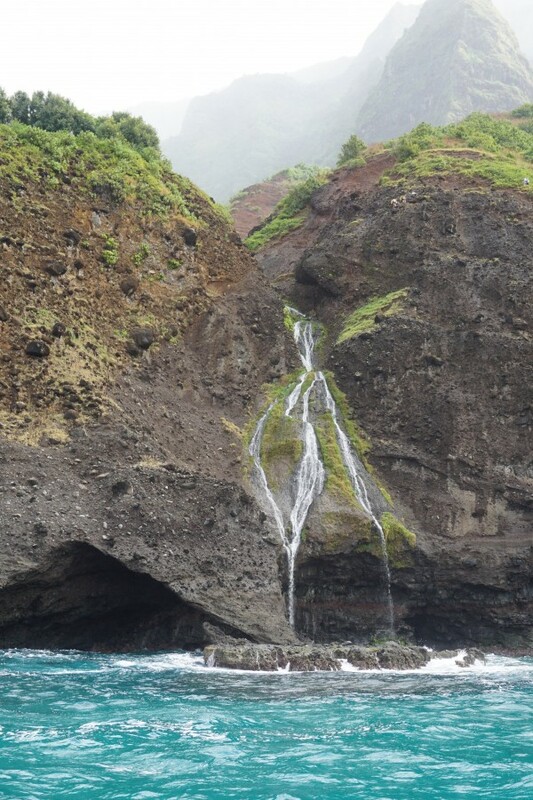 It rained one day while we were there and while I was initially bummed, it made for full, picturesque waterfalls along the Napali coast. I loved every second of our stay on Kauai and can’t wait until the day I can go back! Read on for tips on where to stay, what to do and what to eat. 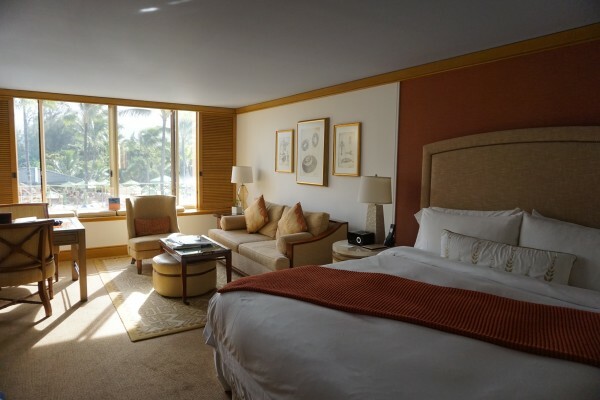 The ultimate hotel experience is the St. Regis Princeville. It came highly recommended from friends who had been there before and it did not disappoint one bit. In fact, I never wanted to leave. I was so happy that we stayed there for three nights instead of two, which we did at the other resorts. We had an ocean view room, which I personally think is worth it because the view is incredible and you’re set down low near the pool and beach. I’ll let the photos speak for themselves, but my days in Princeville were spent in a beach chair with a cocktail and magazine in hand and I’d do anything to go back. 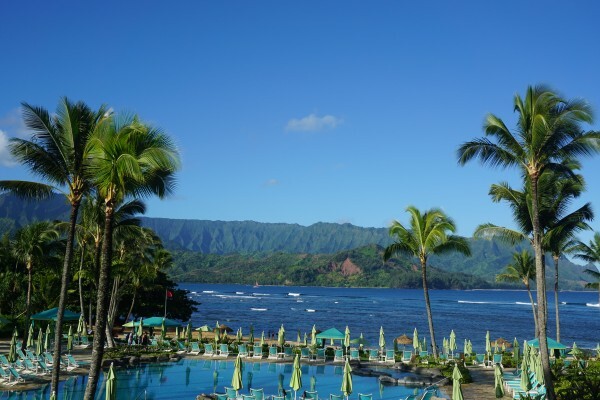 If you don’t stay at the St. Regis, there are a number of other hotels off of the same road that you can choose from, including Hanalei Bay Resort and the Westin Princeville. If you’re not into sitting poolside or by the beach daily, there’s plenty to see and do around Princeville. 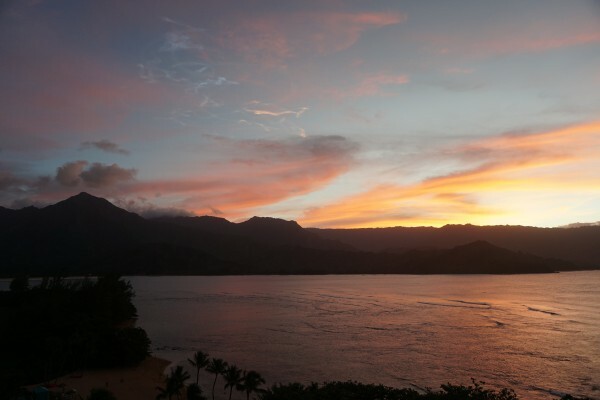 Hanalei Bay is a short drive and there you can swim, surf, SUP, kayak, you name it. It was in Princeville that I fell in love with stand up paddle boarding (which I have yet to do again since – downside of New England living). We drove about 10 minutes down the street from our hotel to Hanalei Bay and rented SUPs from Kayak Hanalei for about $40/person for a 24 hour rental – a great deal! You can also rent kayaks there if SUP isn’t your thing. You enter along the calm Hanalei River (great for beginners), then paddle along a 2-mile loop, going up stream first and then down stream on the way back. The way there was challenging but still fun! I was going to rent one again at our hotel to try it on the ocean but didn’t get around to it. 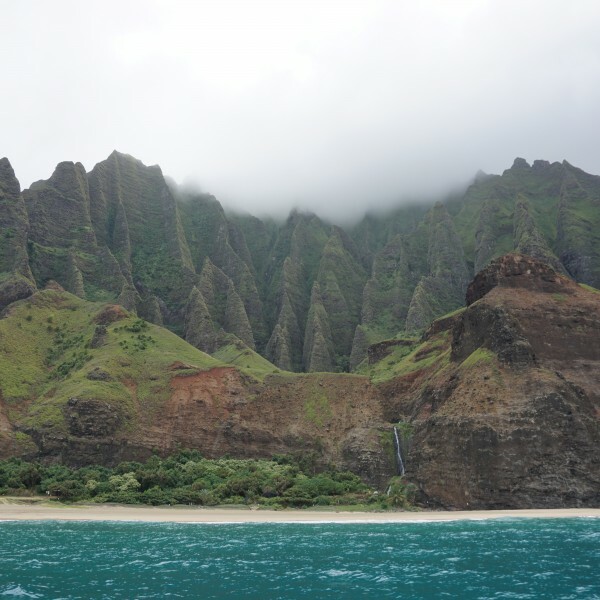 The Napali Coast is a must-see when you’re in Kauai, and there are many ways to do so – by helicopter, hiking or boat. We wanted to go for the boat option but there were very few leaving from the Princeville area (most are closer to the south shore). 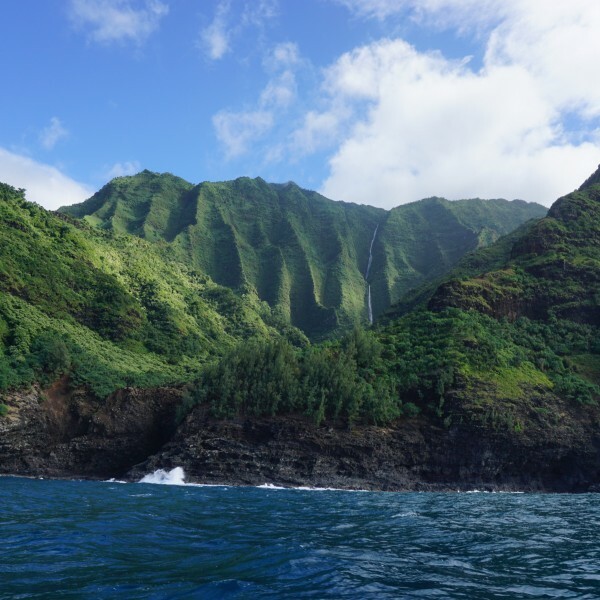 We went with Na Pali Coast Hanalei Tours and loved it – even got to swim with a couple sea turtles that came right up to us! I will admit that I was a little skeptical when it was a small-ish boat with giant waves after a rainy morning, but I had no complaints. The staff are super friendly and knowledegable about the area, history, etc. Below are pics I took on the boat but they really don’t do the scenery justice – pay attention to the full waterfall in the first pic! If you’re into golf, right up the street from the St. Regis is one of the top courses in the country (it’s in a book my husband has of the top golf courses in the world! ), the Princeville Makai Golf Club. I can’t speak to the actual golf because I opted out and had myself a nice morning by the beach, but my husband had a great time golfing with a couple locals. 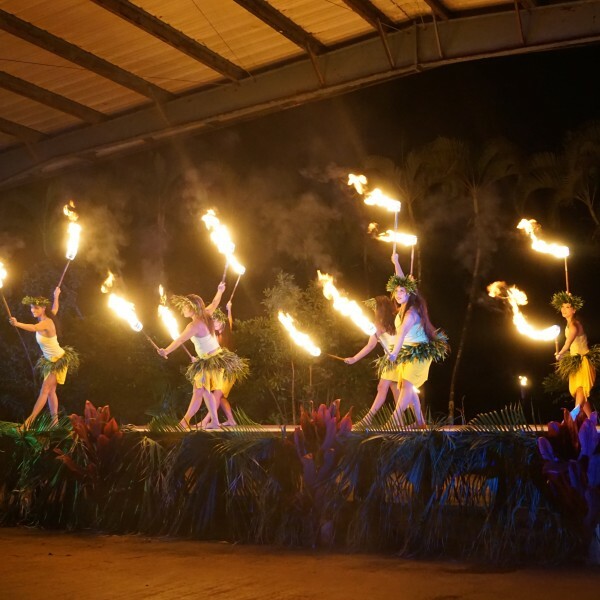 We were originally planning on going to a traditional luau, but the Ahi Lele Fire Show was recommended over that by many people on the island, so we went with that. The show takes place at Common Ground Kauai, which is a beautiful outdoor venue with delicious food made from local ingredients. The first hour of the evening starts with cocktail hour, where passed appetizers are served and you can walk around the property. Then comes the three-course meal complete with ahi, shrimp and pork, then coconut milk panna cotta. I’m not usually an ahi fan, but it was amazing, along with everything else. Once dinner finished, we were escorted to stage lawn for the show. If you’re celebrating a special occasion, make sure you let them know! Since it was our anniversary, we got front-row seats. Just up the road from the St. Regis (and most of the other Princeville hotels), there’s a little shopping center. That’s where you’ll find our go-to breakfast spot: Lei Petite. Great bagels, acai bowls and iced coffee. It’s nothing fancy, but right up my alley and we sat at the outdoor tables and enjoyed it every morning. 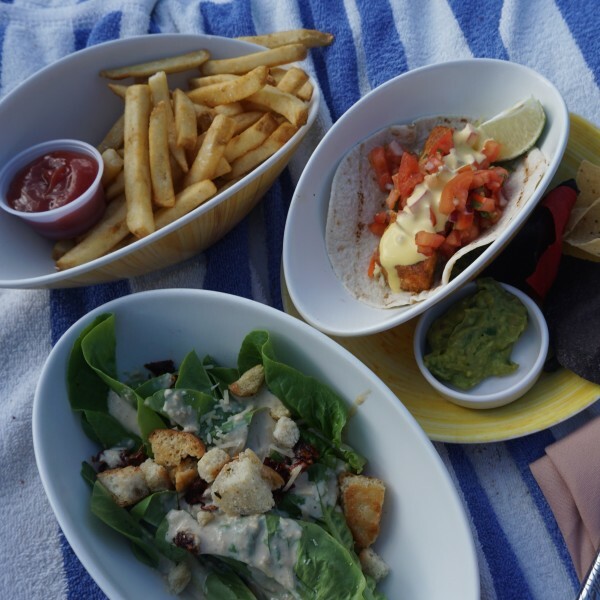 We had lunch poolside at the St. Regis for the most part (loved the fish tacos! ), but you can also head into Hanalei for lunch. While we didn’t get over there for lunch, the Hanalei Dolphin came highly recommended for sushi. They don’t take reservations, the wait can be long and it has a limited menu, but we were told it’s worth it for lunch (or dinner) along the river. I saw people out there as I was SUP-ing by on the river. And another suggested lunch option is the local food at Haraguchi Rice Mill and Taro food truck. It’s right by the SUP rental and Hanalei Dolphin. 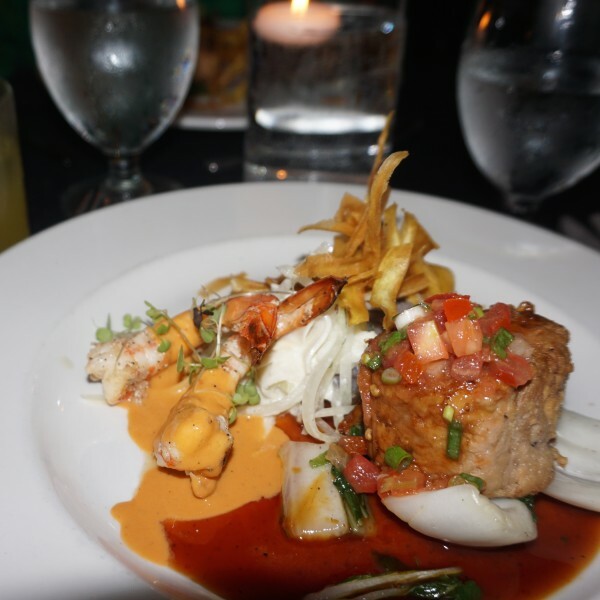 Right at the St. Regis is a Jean-Georges Vongerichten restaurant, The Kauai Grill. 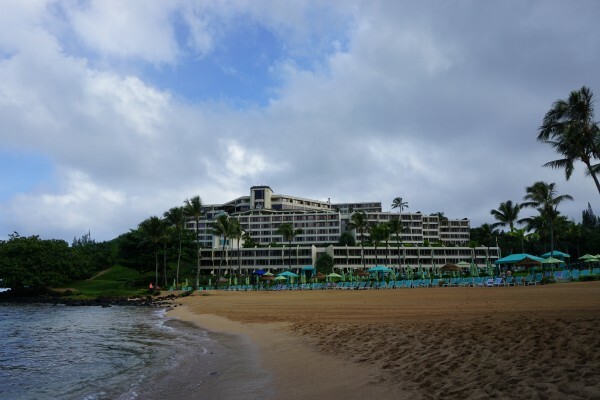 We actually didn’t have a chance to try it out, but loved the hotel’s main restaurant, the Makana Terrace. On our last night when we had a late night, we actually ended up going back for round two because it was so good and super convenient. 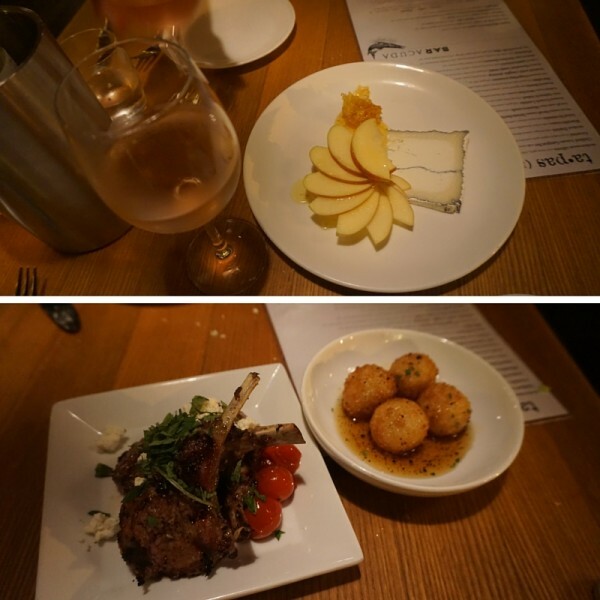 I loved the Prosciutto Wrapped Mahi Mahi – and the staff were so sweet and sent us a complimentary anniversary dessert to top it all off. Also, we heard the sushi at the St. Regis bar is delicious and it’s also a wonderful place to watch the sunset, have a cocktail and pupus (appetizers). 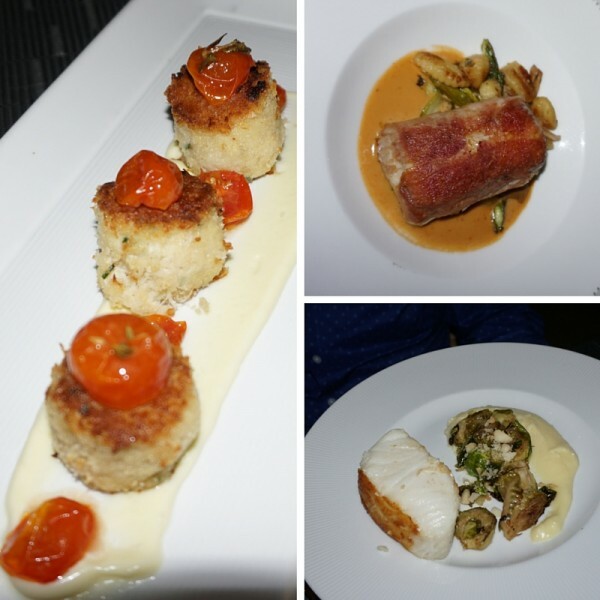 In Hanalei, Bar Acuda is a popular spot for tapas made with locally sourced ingredients. Make reservations in advance and try the honeycomb with goat cheese and fuji apple tapa for one of your dishes (and you can’t go wrong with any other options on the menu). Fun fact: former Bachelorette Ali Fedotowsky was just there. 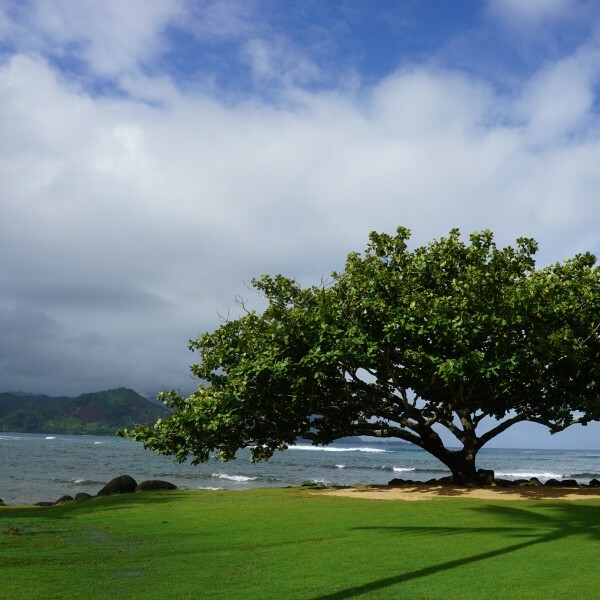 You really can’t go wrong in Princeville – I had no complaints! If you have recommendations to add, please do so in the comments! Wow nice photos!! Hawaii is indeed one of my dream places to visit. As a mother and wife, I want to have the best moments with my family. Hoping to be in this place soon. A great write-up Katy! 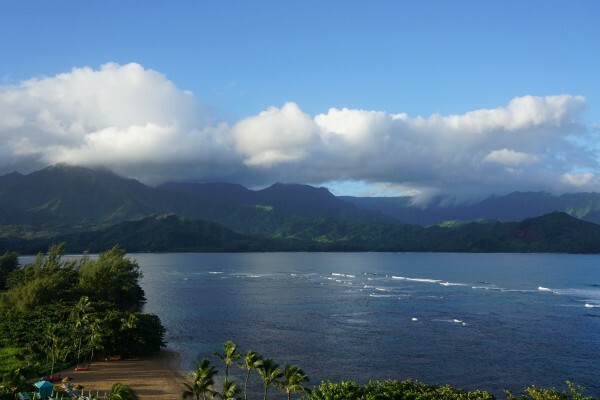 Never stayed at the St. Regis Princeville, but that ocean view is compelling. Looking forward to reading about your time on Maui Aloha. Thanks so much for reading! The St. Regis is a MUST – even if you don’t stay there, the views are gorgeous for sunset drinks. 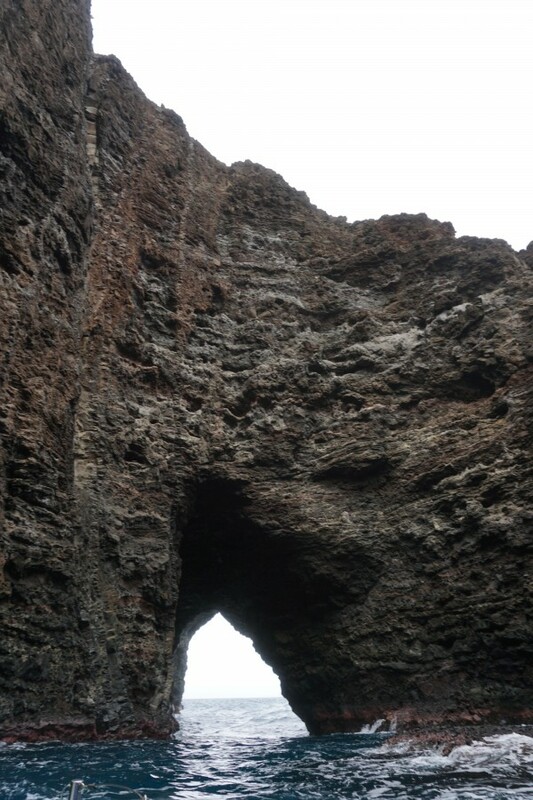 My husband and I went in June for the first time to Kauai and absolutely loved it! Hanalei Bay was so beautiful and Napali Coast is breathtaking! We will definitely go back and do some kayaking and helicopter tour… Smith Family Luau is awesome too! Ah, it’s all so beautiful!! I’ve now been twice and just wish it wasn’t so far away so I could visit more often. 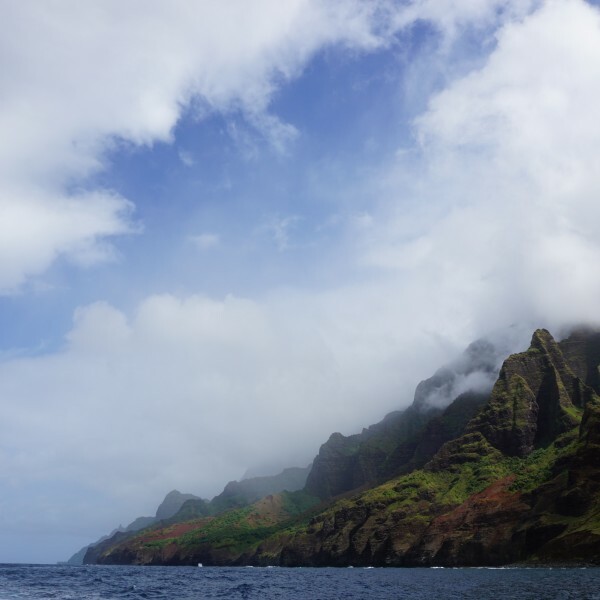 I haven’t done the helicopter tour or Smith Family Luau yet – maybe next time! Thanks so much for reading and commenting! We stay in Princeville every time we go and Lei Petite is our go to for blueberry cream cheese scones. Unfortunately, last time we were at that little shopping center there was a sign saying they are closed for good due to a death in the family. My heart goes out to them. On another note, Holy Grail food truck in Hanalei has amazing taro donuts made with all organic ingredients but, sadly, they’re only open on Sundays from 7am-1pm. Oh no! I hope Lei Petite was able to reopen somehow – that is so sad to me! It was the best little breakfast spot. Thank you for the Holy Grail food truck recommendation – I will have to check that out next visit. And of course, thanks for reading.